I always like my holidays sparkling and my layouts too, so this is definitely a fun new stack for me. 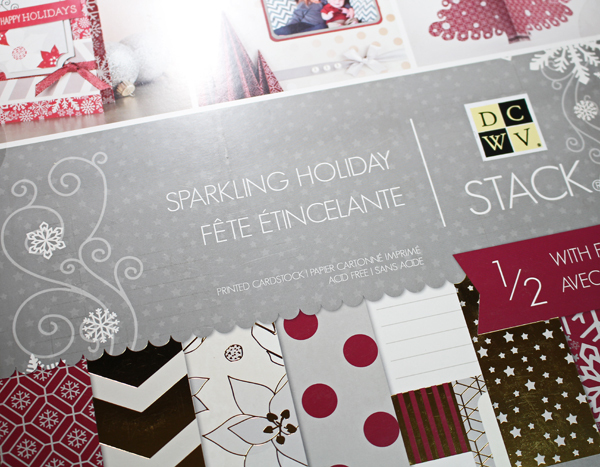 Have you seen the new goodies from DCWV for the holidays? 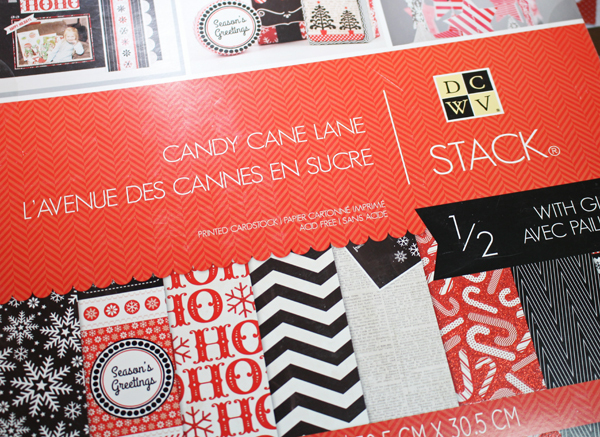 For my layout I used mostly papers from the Sparkling Holiday Stack with a pop of red paper from the Candy Cane Lane Stack. Here are a couple of photos I took of the covers so you could see the stacks. 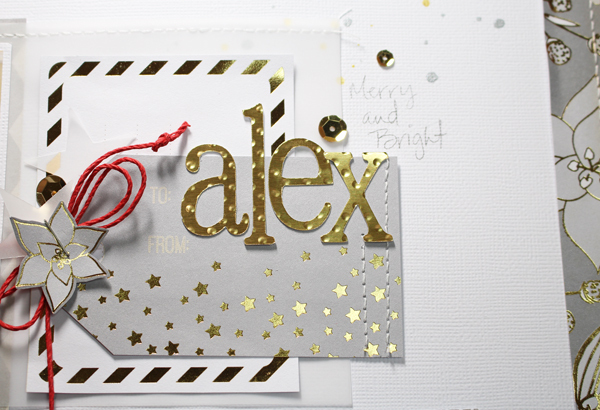 I also used a really great embossed gold paper from the DCWV Premium Paper collection to cut out my title letters. It's tough to get a photo that will do this gold paper justice though. And if you look below the 25 there is a row of gold bling. Its a new product from DCWV called an Adhesive Jewel sheet. It's a 8.5 x 11" sheet, so I cut a strip to use on my page but even though it looks and feels like rhinestones, its a product that you can cut with scissors so you could actually cut out any shape you like. Pretty cool and you have to see it in person to really understand. I love the gold, red, and white together. These papers are great! I, too, like things sparkly for the holidays!